Tom Kurfess, pictured with MedUSA, a next generation advanced manufacturing machine that combines additive, subtractive and tooling applications in one seamless system. Tom Kurfess is chief manufacturing officer for DOE’s Manufacturing Demonstration Facility at ORNL, where he leads initiatives in digital manufacturing. Tom Kurfess, ORNL’s chief manufacturing officer and senior distinguished scientist for manufacturing, knows one pace: fast. He speaks with an enthusiasm that matches his rapid cadence. He’s an innovator, always thinking not where science and technology are today, but where they will be in the next five years, even the next minute. Formerly the HUSCO/Ramirez Distinguished Chair Professor at the Georgia Institute of Technology, ORNL tapped Kurfess for the newly created role of chief manufacturing officer. He arrived on the job at DOE’s Manufacturing Demonstration Facility (MDF) in January 2019. The MDF is the nation’s only large-scale, open-access facility for rapidly demonstrating early stage research and development manufacturing technologies. Already, he’s looking at equipment recently installed in the high bay of the expanded MDF on ORNL’s Hardin Valley campus. He predicts this equipment won’t be there in less than five years. Kurfess is an expert on program growth. 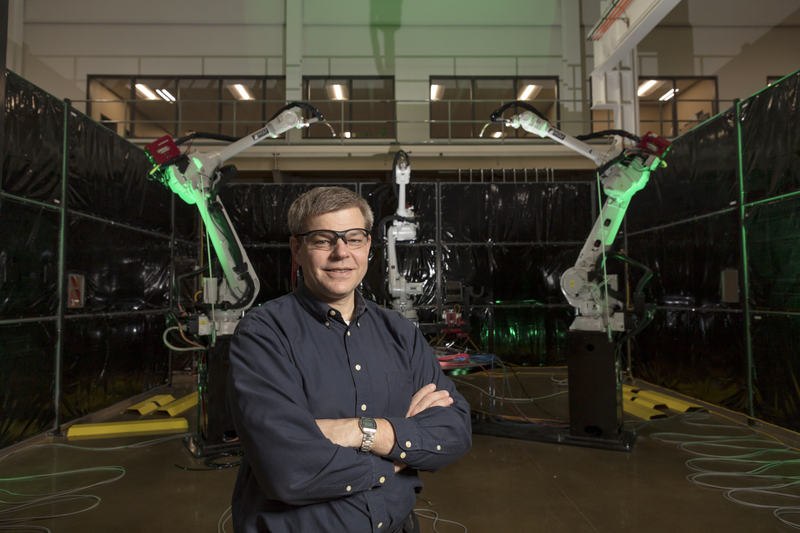 Most of the success the United States has experienced in advanced manufacturing, including at ORNL, can be attributed to a job he was named to in 2012 -- assistant director for advanced manufacturing at the White House’s Office of Science and Technology Policy. Kurfess was given a one-year appointment to steer the national conversation on advanced manufacturing, working with departments within government such as Defense, Labor and Education, to strengthen manufacturing resources for the good of the nation and economy. Today, advanced manufacturing is a key driver for U.S. industry and work force development. Since opening in 2012, the MDF alone has worked with more than 170 industry partners to date, spurring economic growth on a local, regional and national level. Kurfess says his Washington, D.C., experience made clear the valuable role national labs like ORNL play in helping industry achieve success in advanced manufacturing. Answering that call is one of the primary reasons Kurfess chose to join the manufacturing team at ORNL. He sees the lab as the perfect blend of facilities and people. Kurfess expects to spend his first six months on the job leveraging current research, advancing it, and then tying that research in with the right people and industry contacts. Two focus areas in the near term for him are digital manufacturing and data analytics. Investigating IoT also prepares for the inevitable expansion to the final phase of a 5G data network nationwide. Data communication across the nation is largely 4G; 5G is expected to provide unprecedented speed and data transfer, opening the door to significant advantages and opportunities. Digital discipline is a term Kurfess refers to frequently in conversation. In fact, he says he’s working to coin the phrase so that its significance is understood throughout the MDF and the manufacturing community. Another manufacturing advancement Kurfess expects to see continue is the move to hybrid machines that provide additive and subtractive capabilities. A hybrid machine has already been installed at the MDF and Kurfess says with fellow ORNL new hire Scott Smith, who leads the newly formed Machine and Machine Tool Research group, he anticipates hybrid machines will eventually replace additive systems. “We’re going to have accuracy in tooling the first time and I expect hybrid tooling will be the leading edge of this effort,” he said. Kurfess, whose academic career spans Carnegie Mellon University, Georgia Tech and Clemson University, says he’s not typical of academia. The Massachusetts Institute of Technology alumnus has served as the BMW Chair of Manufacturing at the Clemson University – International Center for Automotive Research, where his primary role was to launch the center as well as define its research and workforce development directions. The importance of learning a process from start to finish started long ago for Kurfess, as a young boy sweeping the floors of his father’s machine shop in Chicago. 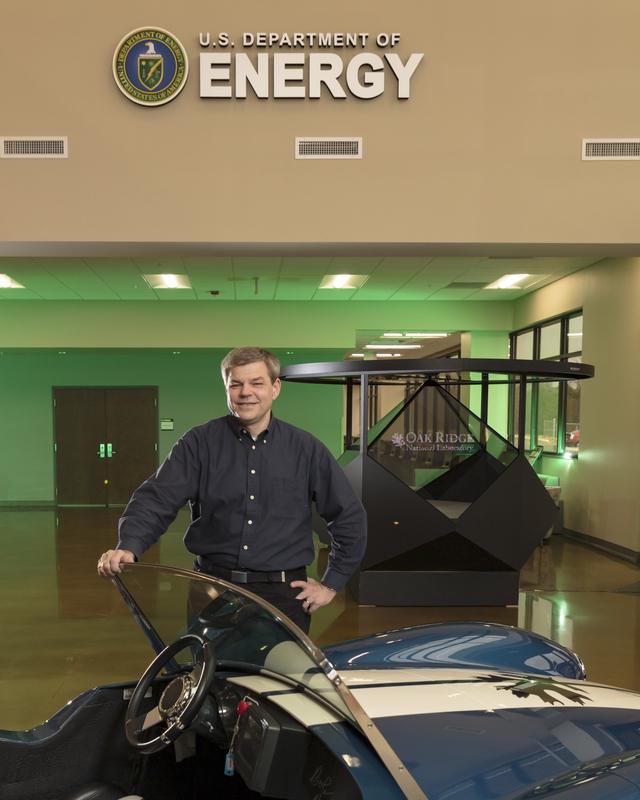 Taking an idea from concept to reality never grows old, Kurfess said, and that’s what engineering and advanced manufacturing have allowed him to do.